Diagnosing and repairing diesel engine problems is our specialty. If you need urgent diesel repairs and want experienced trouble-shooters who move fast and travel anywhere, then that’s us. Or if you want regular, reliable diesel servicing, with ongoing checks and maintenance, then that’s us too. Downtime for your diesel engine or generator can cost you big money if you’re running a business. Or it can cause disappointment and danger if you’re a recreational boatie. If you depend on a diesel water pump for your home water supply, then it can cost you a lot of concern and inconvenience. Regular servicing and maintenance is cost-effective in the long run. Leaving it until something goes wrong and then having to fork out for expensive diesel repairs is not exactly a strategy for success. Yet, we see it all the time. And it almost always results in a heftier price tag to put things right. We can help you get the best from your engine for longer, thanks to regular diesel engine maintenance and servicing. If you have your own ongoing schedule, we’ll fit in with that and undertake what needs to be done when required. We repair and service diesel engines of all makes and sizes, including Gardner, Lister Petter, and DEUTZ. We also repair Dong-I marine transmissions and marine steering systems. Although these brands are legendary for performance, economy and reliability, it’s essential to give diesel engines the care that they need. Don’t let any old outfit mess with your expensive machinery. 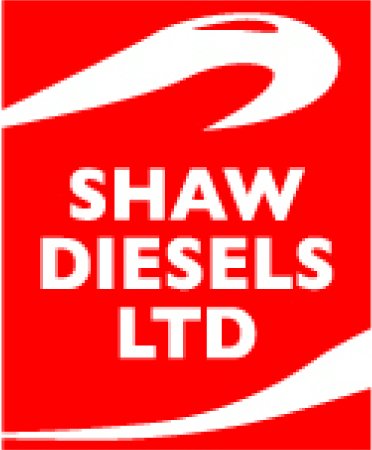 Stick with the diesel repair experts – Shaw Diesels. We take pride in the fact that we can look after every detail for you, from start to finish, regardless of whether or not your engine needs a full rebuild or just a service. You’ll find our team of diesel engineering specialists friendly and professional, and you’ll be confident from the outset that they want to do the best possible job for you. Ask for our mobile service to come to you, or bring your unit to our facility in Albany, Auckland. Don’t be left all at sea – come to us for a preventive maintenance schedule. Or, if you’ve already struck trouble, give us a call and we’ll provide you with fast, efficient marine diesel repairs. Many recreational boaties leave repairs and maintenance until something goes wrong. They fire up the engine at the start of summer and are dismayed to find it’s faulty – or in some cases, won’t go at all! Beat the rush and get the necessary checks and servicing done over winter. We’ll be happy to put together a maintenance schedule for you, and to remind you when the oil and filters need changing. This varies dependent on the engine make. We recommend servicing every 500 hours for DEUTZ engines; every 400 hours for Gardner engines; and every 250 hours for Lister engines.